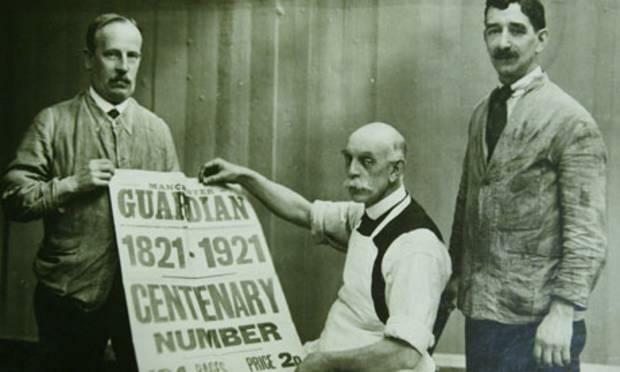 The Manchester Guardian was founded by John Edward Taylor in 1821, and was first published on May 5 of that year.The Guardian soon built a solid reputation for fighting against social injustice following the Peterloo Massacre and the Corn Laws. The Guardian was published weekly until 1836, when it was published on Wednesday and Saturday, becoming a daily in 1855.The Guardian achieved national and international recognition under the editorship of CP Scott, who held the post for 57 years from 1872. Scott bought the paper in 1907 following the death of Taylor’s son.CP Scott died in 1932 and was followed only four months later by one son Edward, so sole ownership fell to his other son JR Scott.In June 1936, JR Scott gave ownership of the paper to the trustees of the Scott Trust. The Guardian moved to London in 1964.The Guardian relied heavily on the Manchester Evening News for financial support which it owned. In the late 70s and early 80s the Guardian’s position as the voice of the left was unchallenged. However in recent times the Guardian has become the by-word for trendy, faux Working-class values peddled by over privileged cultural-marxists. The Guardian is now run at a huge loss with it’s future uncertain as its assets are run down. 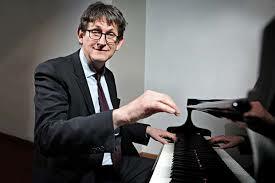 Current Guardian Editor Alan Rusbridger since 1995. His currect salary is £395,000 plus bonuses of around £170,000 per year. In 2009 it was reported that one of his daughters, Isabella, had been working at The Guardian, but had been using her jewish mother’s surname (Mackie) as a nom de plume to avoid suspicion of having obtained the job through nepotism. It’s not known if The Guardian wasted People’s time by going through a charade of advertising the job. The yearly fees stated do not usually include lunches, music, drama, travel or uniforms. The Guardian also offer to pay for all senior staff to send their Children to the private school of their choice – a perk most take up willingly. Seumas Milne incidentally is the son of former BBC Director General Alisdair Milne. Guardian News & Media has lost nearly £200m in the past six years as it pursues its ambition of being the “world’s leading liberal voice”. GMG already enjoys advantages over some of its commercial media rivals. Ownership by the Scott Trust means it does not have to answer to shareholders. The group has a cash and investment fund of £254m. Those other assets such as its 50 per cent stake in Trader Media Group and a 33 per cent share in Top Right are security for the loss-making news business.Two years ago, as he committed GMG to a “digital-first strategy”, Mr Miller warned staff the newspaper’s losses were so great it could run out of money in “three to five years”. The latest losses of £31m for the year to the end of March were an improvement on the £44m of the previous 12 months and he took succour from a 28.9 per cent rise in digital revenues. Converting pounds to dollars (£1 = $1.64), you find £200 million equals about $325 million. Divide that by six and you find that they’re losing money at a rate in excess of $54 million a year. The £31 million the Guardian group lost in the most recent year is more than $50 million. The £44 million they lost in the previous year was $72 million. The Scott Trust has the duty to maintain a secure financial footing for the business: “…to devote the whole of the surplus profits of the Company which would otherwise have been available for dividends…towards building up the reserves of the Company and increasing the circulation of and expanding and improving the newspapers.” These principles remain the only instructions given to an incoming editor of the Guardian. This entry was posted in 1970s, 1980s, 1990s, 2000s, 2010s, Anti-White, Corruption, Genocide, Globalisation, Labour, Media, Multiculturalism, New Labour, New World Order, NWO, Politics, Zionism and tagged genocide, Global, Globalisation, jews, Labour, Labour Party, multiculturalism, New Labour, New World Order, NWO, zionism, zionist, zionists. Bookmark the permalink. Noncesense, the Guardian is the ONLY British paper that is not controlled by the media mogul white rich male elite! I’ll let this one through MrTrotskysGhost – but are you disputing any of the facts I raised? The facts stated in the Guardian Exposed article of course. The Guardian is operated by Satanists who call themselves “Socialists”, no one who is “working class” reads the tripe any more. Since “socialism” is a scam to get the masses to put into power warped and twisted psychopaths who have anti-Christian habbits, like child abuse, buggery and property theft. Marx, Lenin and Starlin were all members of the Freemason cult and were Satanists not “socialists”, they also all had an underlying Jewish supremacist agenda and were attempting to establish a “world government”. Ditto the Guardian. and Alice in Wonderland is a true story. I was basically recommended this site by your cousin. I¡¯m uncertain whether this unique post is published by him for the reason that nobody also know many of these detailed on the subject of my challenges. You are actually wonderful! Thanks a lot!